At Walk Without Pain Podiatry Clinics, we use a variety of techniques and technologies for making foot orthotics depending on your requirements. We are not financially entwined with any one orthotic lab, so we can access a variety of options that meet your needs. For those patients who require full strength orthotic devices, we mostly use computer aided design and manufacture (CADCAM) technology. This method allows for thinner orthotics and more shoe choices, particularly for sleeker shoes such as women’s footwear and soccer boots. It also means that we can choose how much flexibility (ie bounciness) can be built into the plate. This is not possible with older style orthotic manufacture processes and is a good option for many people as it allows for in-built shock absorption and dramatically cuts down the need to ‘get used to’ your orthotic. The lifespan of these devices is ~ 5 years of normal use. Prices for this (and all of our other) orthotic options are kept up to date on our Fees page. Instead of reading about what sort of ‘Nanna shoes’ will best suit the orthotics we gave you, wouldn’t you rather read about what sort of orthotics we can provide to best suit your footwear? By using a CADCAM manufacture process, our fully functional foot orthotics can be (and usually are) as little as 3.4 mm thick. Due to the flexible nature of the plate, they can be worn without padding that will otherwise take up valuable space. There are also two other choices smaller than this if space in your orthotic shoes is really at a premium. The Component Orthotic: This is the cheapest option available at Walk Without Pain! Podiatry Clinics. Prefabricated orthotic components are selected dependant on your needs and combined to bring about the best orthotic fit without being custom made. The advantages are that this option is cheaper and quicker – it can usually be made during your appointment. The disadvantages of this option are that the resultant orthotic is fairly chunky and is not suitable for sleeker shoes. The thickness of the plate is not customisable and is more firm than we would usually choose in our custom made devices. The Measured Orthotic: Using 14 variables, the podiatrist will use a very high-tech computer program to model your feet. Your custom made orthotics are then made from this model. All of the variables are customisable such as thickness, flexibility, fit, contour and degree of correction. They are cheaper than our standard option (around half the cost) but are not quite as accurate as the fully functional devices. We estimate that most of the time they are ~ 85% as good. This would be discussed fully with you by your Podiatrist during your appointment prior to deciding to proceed this way. This option is popular with parents of growing children and reduces the cost of a series of orthotics markedly. Copythotic™: The third cost saving orthotic type is our patented (pending) Copythoticª technique which reinterprets an existing orthotic device to create a totally new orthotic. This can literally make just about any shoe and orthotic shoe. As most of the information that is needed about you has already been captured in your original orthotic device, creating a Copythotic™ may be up to 60% cheaper than your original orthotics were. We can use orthotics that were made by other podiatry clinics and can modify the orthotics to some degree to correct problems in the original devices. The original orthotics are not damaged during the process. As a Copythotic™ literally is a copy of an orthotic, to use this option, you would need to have existing orthotics that can be brought to our podiatrists. More can be learned at Orthotics Brisbane. Copythotic orthotics can an be as firm or as soft as we want them to be. A Copythotic™ device is made from a selection of materials. In combining these, they can be made anywhere on the continuum from hard to soft. We have found that around 40% of our customers decide to see us because their previous devices have been uncomfortably hard. More often than not, our standard orthotics will be small, sleek and flexible enough to work with normal shoes. If you have very specific requirements or if you have existing orthotics that are too chunky for your footwear style, we can offer another option. Copythotics can be made to literally any dimension we require. 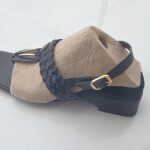 Any existing orthotic can be reinterpreted to fit into 95% of shoes. Keep in mind though, some options will reduce the efficiency of the orthotic and individual assessment and advice will be provided to you. Around 60% of our patients have chosen to use Copythotics because their existing orthotics did not fit into their existing or desired types of footwear. Life is no fun when every day you dread putting on your shoes, trainers or sandals because of the pain or discomfort you experience. Thousands of Australians every year struggle on with complications of their feet and many others have given up on finding a remedy simply because they believe they have tried all avenues and none have worked. Fortunately for those seeking of orthotics in Brisbane here at Walk Without Pain Podiatry Clinics, we are the go-to experts that you can depend on to bring you the relief you have been looking for. Our team of highly specialised and extremely knowledgeable podiatrists have a wealth of expertise that is second to none and so we are confident that where all else failed, we will be able to find a remedy. The good news for those living in Brisbane is that while many podiatrists charge rates that are simply unaffordable, at Walk Without Pain, we are a much more affordable choice and even offer HICAPS rebates in all of our clinics, 4 in total, while you are onsite. You do not have to be a professional athlete to avail of our services. We are open to any and all that experience pain or have trouble with their feet. You may have incurred an injury back in your youth that was never addressed, or you might be a weekend warrior that got a little too caught up in the heat of competition, regardless, our team are perfectly placed to look after you and make sure that when you leave our clinic, you are on the road to a full recovery. The majority of those that require orthotics in Brisbane can relate to folks all around the world because they typically suffer the same problems, that is, fallen arches or flat feet. Naturally, if you have been experiencing complications with your feet for a while you will most likely have developed coping strategies to help get you through the day and give your feet a welcome respite from time to time. However, the reality for you is that once you are mobile again things quickly go downhill and before long your entire focus is back on the pain in your feet. The cause of pain is due to the structure of the foot and the likelihood that certain parts of your feet are under considerable pressure, and bear more weight from the body. Standing still can, therefore, be a real chore and something to dread. Getting out of bed and putting your feet to work for the first time each day might also present you with discomfort as the soft tissue warms up to the day. Here at Walk Without Pain, we have a range of orthotic solutions ready to deploy depending on how your feet are structured. 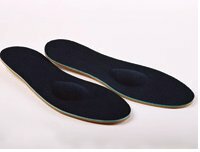 Whether you wish to simply use our customisable insoles or avail of the computer-assisted design and manufacture technology we have at our disposal, we will be able to find appropriate solutions to the cause of your specific pain. What’s more, if you have already been to another practitioner and have insoles already in place, we can take what you have already been fitted with and make adjustments that will eliminate the errors in design that are still causing your feet pain. So, when it comes to orthotics in Brisbane forget the rest and seek out the best. That is, the team here at Walk Without Pain. Our mission is to alleviate the pain in your feet and to do so by using the most current practices, latest technologies and a team that is on point in terms of training, education and ability to deliver exceptional solutions each and every time.